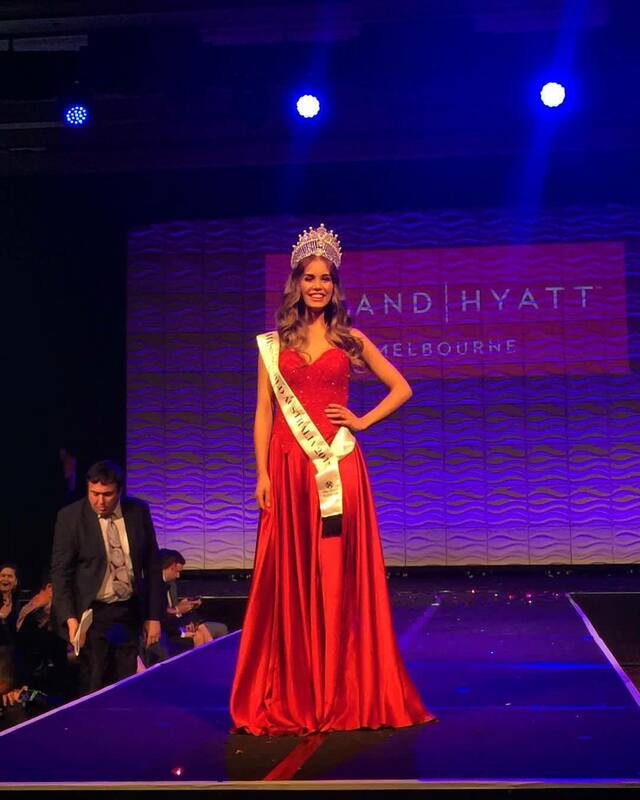 Esma Voloder representing Victoria has been crowned Miss World Australia 2017 during a national finale held at Grand Hyatt, Melbourne. She was crowned by Miss World Australia 2016 Madeleine Cowe who was top 20 finalists at Miss World 2016. Esma will now compete at Miss World 2017 to be held in November in Sanya, China. She was 1st runner up at last year edition of Miss World Australia. The first runner up title went to Amy-Lee Dixon, second runner up was La’Ace de Vries, Venine Palm was adjudged 3rd runner up and Lavinia White was declared fourth runner up. Esma Voloder is no stranger to beauty pageants, having previously won the Miss Teen Australia competition in 2008, Miss Globe International 2014 and top 10 finalist at Miss Supranational 2013 where she was crowned Miss Supranational Asia and Oceania 2013. She is an official ambassador for the Bully Zero Australia Foundation.